....: Praise Be to God above! Praise Be to God above! I was sitting here today just depressed and feeling all out of sorts. I have a few photos here that I promised a friend that I would scrap for her so I thought that today just might be a good day to work on them. Anyway, as I am sitting here working away, I am praising the Lord and thanking him for all he is doing for me and asking him to help me through this bout of depression. When all of a sudden I started singing "Burdens are Lifted at Calvary Jesus is very near", the depression was gone.I felt the presence of the Lord in my room so very clearly. I knew He was there with and I just continued singing (I know he doesn't mind if you don't sing well) and praising God. Psalm 55:22 says Cast thy burden upon the Lord and he shall sustain thee: he shall never suffer the righteous to be moved. You know until today I never really noticed that it said "he will sustain thee". It don't say he will remove the burden, just that he will sustain you. I have been doing some reading in Proverbs today too. Now like many I have been buying lottery tickets, it didn't seem to be such a big deal but today I have seen the wickedness of my ways. I shall have to stop. I am going to do it sadly I have to admit, the lure of winnings a large sum of money is a big temptation. Proverbs 28:20-22 A faithful man shall abound with blessings: but he that maketh haste to be rich shall not be innocent. He that hasteth to be rich hath an evil eye, and considereth not that poverty sall come upon him. I don't want an evil eye so no more making haste to be rich. 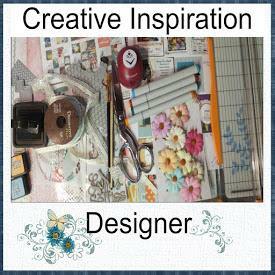 Oh God in heaven you are going to have to help me overcome my yearnings for more scrapbooking supplies. Teach me and help me be satisfied with what I have. Yea! I am so happy for you! I was praying for you yesterday as we were traveling.